First things first, the biggest news for us lately is that we won the Copa del Rey title for the second consecutive season. It is the first title that you can win during the season and it is an important achievement for all of us. We managed to win back-to-back titles, downing Madrid in the final in the last two years. We were thrilled we won this title, but now, new chapters are coming and we have to be ready for them. Each chapter of the season is more important than the one we left behind. 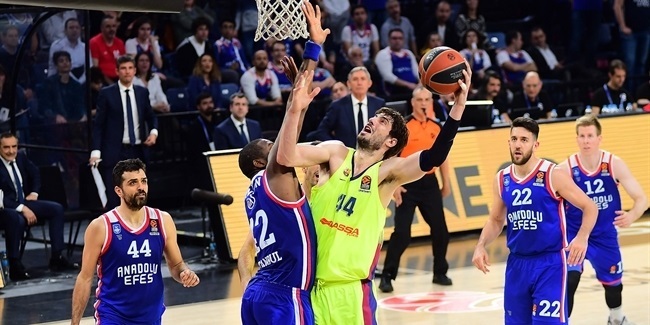 We still have a lot of things to do - in the EuroLeague, we are in the fifth place now and are going to try to get home-court advantage for the playoffs. It will not easy to get, but this is our goal. We have to take one step at a time. At a club like Barcelona, you win a title, people talk about it for a day or two and after that, you focus on the next goal. Our team and our players have the same attitude and philosophy. It was nice, we are really glad that we won one of the craziest and best games I have ever played, but after that, you have to look to the future, focus on the next goal. In that sense, it was important to beat Baskonia the way we did last week, by playing a very good game. We had played three games in four days the previous weekend and the game against Baskonia was kind of tricky. In my own experience, the team that wins something usually loses the next game. I don't know why! Maybe teams relax or are in celebration mode, whatever, but we know this game was really important for us and we understand that the season doesn't stop. If you win one game, the next one is going to be more difficult. Just like in the Copa del Rey. People think that the first game is the most difficult one because you go out right away, but the next game is even more difficult and if you win it, you go to the final - even more difficult! You always have to focus on the next game and against Baskonia, we played very well and started it with a lot of energy. Somehow, we used all the energy the team had left, everybody contributed and we did a really good job, even though we allowed them to run a little bit in the second half. Overall, I think we played a good game and I am proud of the team. "The club will retire Juan Carlos Navarro's jersey and that turns it into a one-of-a-kind opportunity for Barcelona fans." Our next game is very, very special. Playing a Clasico against Madrid is always big, but this time, the club will retire Juan Carlos Navarro's jersey and that turns it into a one-of-a-kind opportunity for Barcelona fans. It will be a privilege to be there, and it will be a special game in a lot of different ways, especially because of Navarro. It will be a great night and we have been waiting for it for such a long time. His number was meant to be retired some months ago, but his father passed away and the ceremony got postponed. It is time to do it now and I am glad to be part of it. Madrid will come with a lot of motivation after the Copa del Rey final and want to avenge that defeat. 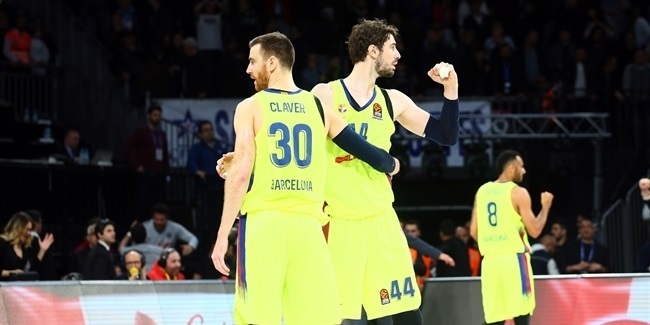 It is a very important game, the first of a super important three-game series with really tough opponents - Madrid, Efes (our biggest rivals for fourth place in the standings) and Fenerbahce. We play at home against Madrid and want to win. We don't want to really look ahead too much, but I expect a really tough game. It will be just as competitive as any other Clasico. I have played in a few Clasicos now and these are great games; we won in Madrid, they won in Barcelona and a lot happened. The good thing I can say is that you never know what to expect other than it will be very competitive. 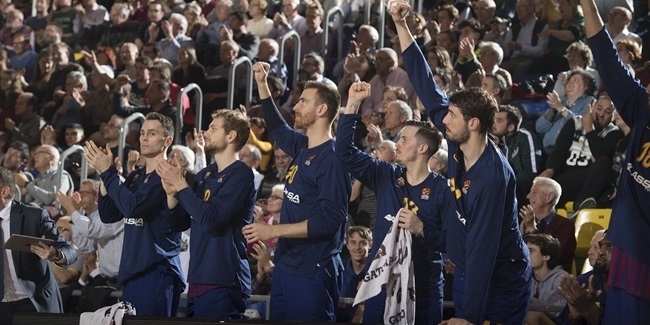 Obviously, there will be a lot of people in the gym and a unique atmosphere at Palau Blaugrana. Fans will be ready to honor Navarro and support us against Madrid after the Copa del Rey title. They have supported us all season and people at Palau Blaugrana will make things tough for them, I am sure. If we play good and physical from the very beginning, just like we have so far, we will be on the right track to beat Madrid. Great rivals are always needed in sports to bring out your best, all of your motivation and competitiveness. This is why we are taking one game at a time, one round at a time, playing against the best players. It definitely brings out the best of me, for sure. Both Madrid and Barcelona need each other to be even better teams. In every sport, fans love rivalries and so do players, and I don't think there are many rivalries longer and more intense than this, El Clasico. Even in the NBA, it depends on the teams - it is Golden St. vs. Houston now, but before that it was Golden St. vs. Cleveland, Chicago vs. Utah, Lakers vs. Celtics... It changes, but El Clasico is always El Clasico, Madrid vs. Barcelona. It is like Panathinaikos and Olympiacos in Greece - you need the rivalry to make great wins even sweeter. The competitiveness is always a huge factor. "There will be a lot of people in the gym and a unique atmosphere at Palau Blaugrana." We have to approach the game against Madrid just like any other game. We know we play against Madrid and both teams have been under a lot of pressure the last couple of weeks. Still, we don't feel any extra pressure, it is just another game and playing at home, we know we have to win by giving our best and fighting until the end. We have to play physical and use as much help as we can get from our fans. We have to enjoy playing basketball and stay together; we have improved a lot at that during the season. We try to find players who are in good form or have a hot hand. We are not the type of team that depends on one or two players score 25 points. We can get enough players to score 10 or 15 points and that makes us more unpredictable, a better team. I expect a big atmosphere at Palau Blaugrana, which is what 'Juanqui' deserves in such a special night for him. It has been a good year so far and that is also because of the great support we are getting from our fans. It is Barcelona vs. Madrid and Navarro's jersey retirement ceremony. It cannot get any better. See you at Palau Blaugrana!